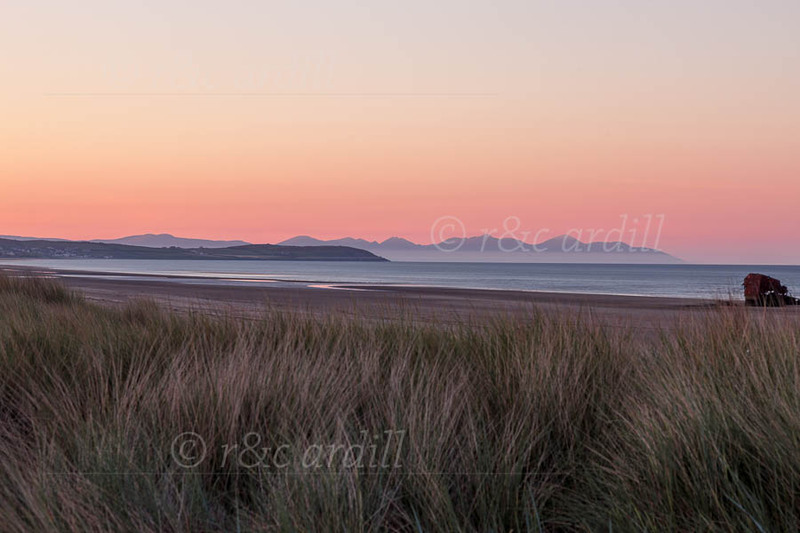 A photograph, taken in late evening of the strand at Baltray, with the Cooley Peninsula and the Mountains of Mourne in the distance. The sand dunes are covered in marram grass. To the right of the image is the wreck of the Irish Trader.